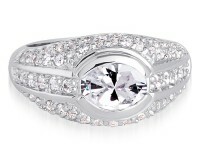 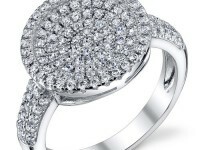 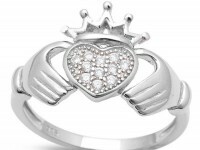 If you love to sparkle, this cubic zirconia ring is for you. 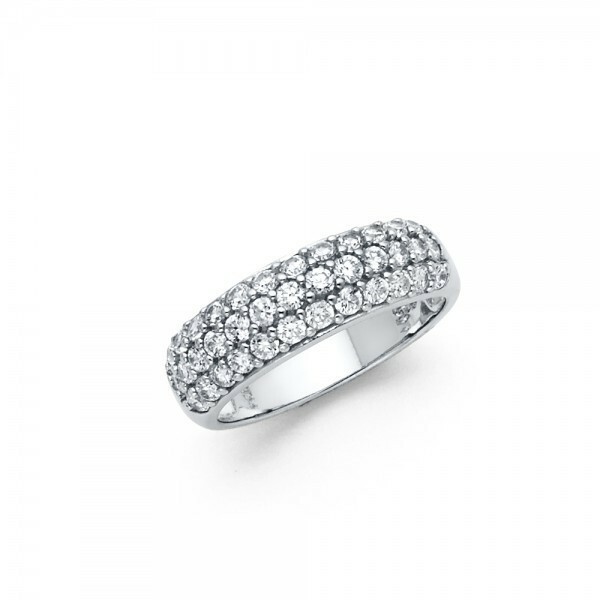 This domed band displays three rows of sparkling round cut cubic zirconia stones in a pave setting and it is done in rhodium plated .925 sterling silver to resist tarnishing. 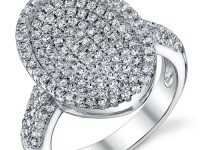 It is full of style and glamour and it makes a beautiful wedding band or ring to wear on any occasion.